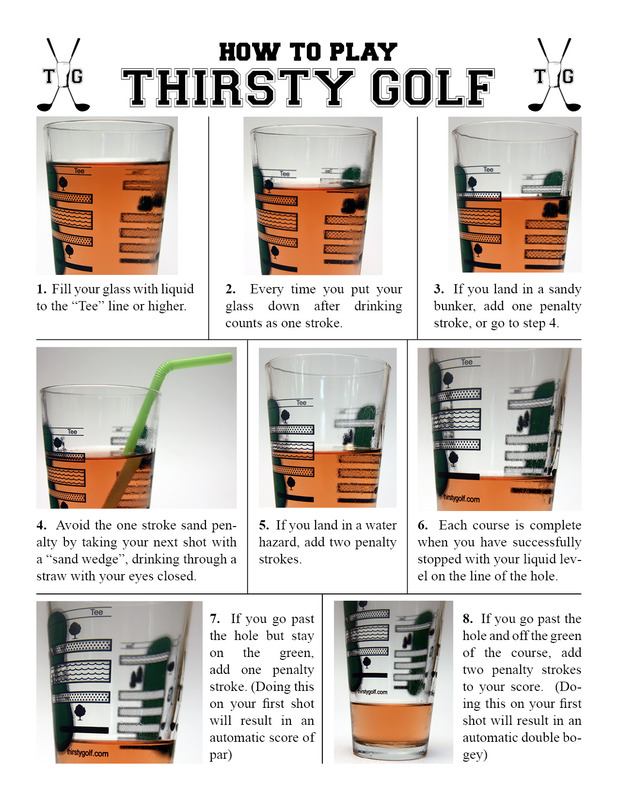 Thirsty Golf | When Golf Consumes You, You Must Consume It! When Golf Consumes You, You Must Consume It! 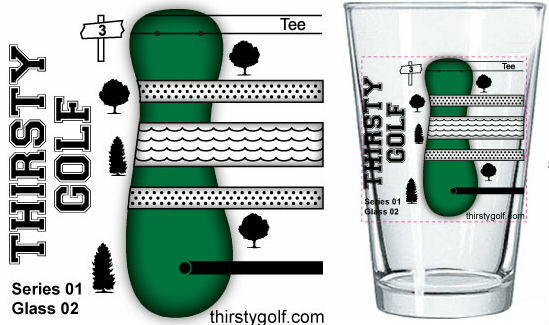 Thirsty Golf is not only the highest quality Pint Glass made in the USA, it is the greatest game on a glass ever produced! 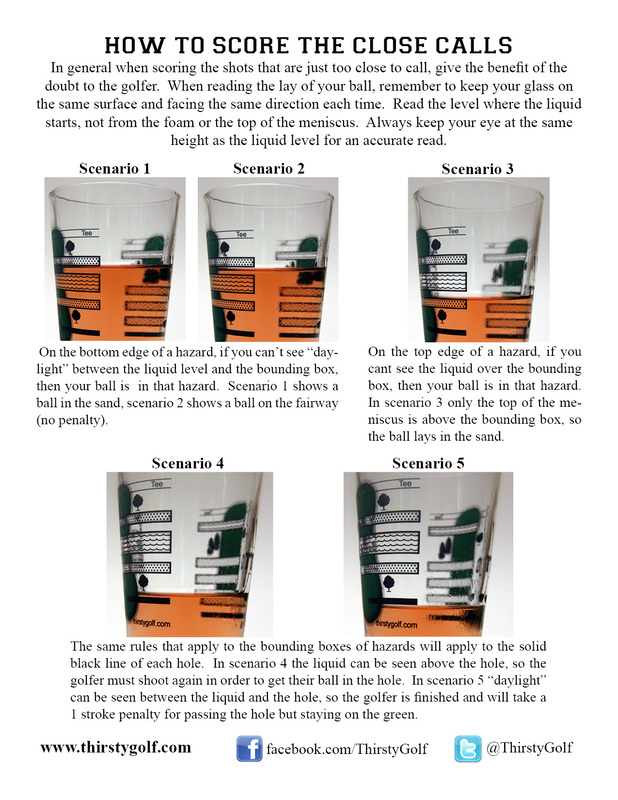 It is a one of a kind product that actually saves you 3-4 hours of real golf! You can take this conversation piece set of glasses to any gathering, fill with a liquid of your choice and then you will immediately experience a good time. It is guaranteed. Peruse the official step by guide to playing below. 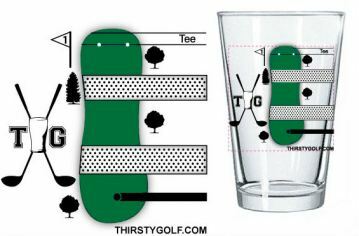 It’s simple; Grab a partner, fill to the Tee line and each take turns swigging towards the hole. Like real golf watch out for hazards. So what are you waiting for? It is time to try it. Take advantage of our introductory pricing and BUY one today! New Online Pricing and Come Join Us July 20th at the Dog Bar, Gloucester! We are back at it again! We are announcing 2 great things this week; New online prices that include shipping and a Thirsty Golf promotion at the Dog Bar in Gloucester. We hope you can join us and we guarantee a good time will be had by all! Father’s Day Special! The ultimate no brainer!